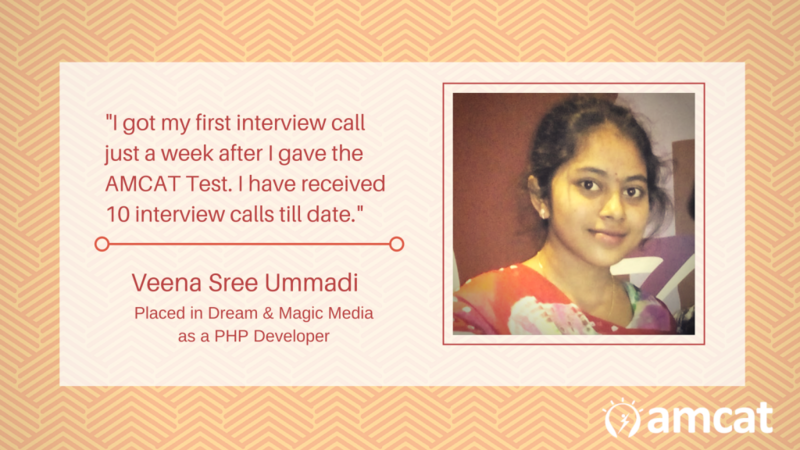 With Veena's AMCAT testimonial, we investigate how the skill assessment and specifically, a good AMCAT score, helps you land a dream job. Learn how Veena Shree was able to succeed, thanks to a good AMCAT score. Aspiring for a ‘bright spot’ in the software domain, Veena Shree is one of the many graduates who relied on the AMCAT Test to get through campus placements. 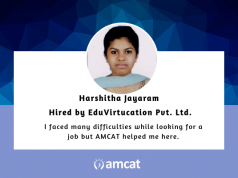 With her AMCAT testimonial as a reference, we investigate how the skill assessment and specifically, a good AMCAT score, helps you land a dream job. Veena Shree took the AMCAT for a clearly defined purpose. 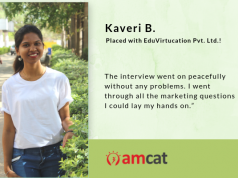 “I took the AMCAT for genuine interview calls based on my AMCAT score.” A content traveller, hoping for a career path in software, she had by this time, completed her graduation from Brindavan Institute of Technology and Science and was looking for fresher jobs. We asked her about her test experience. Having prepared for it earnestly, she was quite clear that she wanted to focus on a good AMCAT score. Note: We talk about preparation for the AMCAT, especially at short notice (preparing for an AMCAT in a week), in our recent articles. We also recommend reading the AMCAT Preparation Guide. The next step after getting a good AMCAT score? 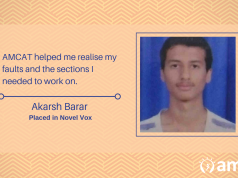 Getting a good interview call, succeeding in it and converting it into a valid opportunity. Veena, how was the interview process for the company? Thanks Veena, for your candid response. We hope this helps others in deciding for the AMCAT and booking one as soon as possible. You can go through this article. Hope this helps.